Doors will open at 11:00 AM and lunch will be served at noon. Tickets will not be printed for this event. A list of registrants will be available at the door. Registration starts on March 1, 2019 at 8:00 AM and ends on April 3, 2019 at 4:00 PM. Register on line by clicking on the event in the Event Calendar (April) on the Home page of the website. Make sure that you are logged in and follow the registration instructions as you would for a bus outing. Members can add a spouse, partner or guest to the registration by selecting 2 tickets rather than one. You will be prompted to add the name and email address for the second person. Check the box for “Invoice” before clicking on ” Proceed to Finalize Registration”. Your registration will remain “pending” i.e. not listed, until such time payment is received. 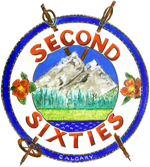 You can give your cheque, payable to “Second Sixties Outdoor Club”, to the designated person on bus outings and at city walks, or by contacting the event coordinator. Tickets will be provided at the event for door prizes. Members and guests’ registrations will be removed if payment is not received by April 3, 2019 at 4:00 PM. Members who do not want to attend the luncheon can still attend the General Meeting.